For visitors to Europe, churches, cathedrals and chapels are common sights and many are attractions in their own right. But perhaps one of the most interesting and unique chapels I've visited lies in the Czech Republic. 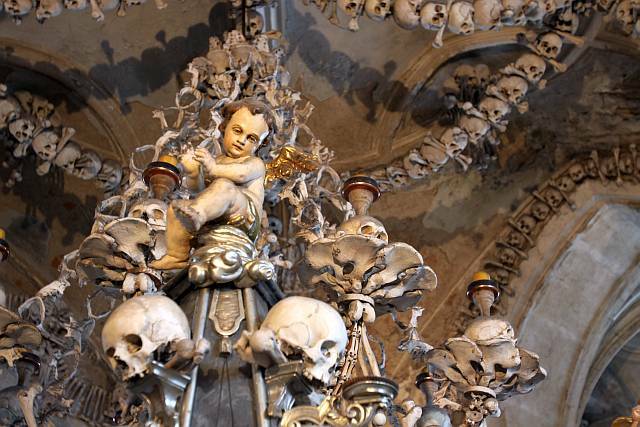 In the town of Kutná Hora, there is a small chapel known as the Sedlec Ossuary. Centuries ago, an abbot from a monastery returned from Golgotha (a holy site in Jerusalem) with a small amount of earth which he sprinkled over the grounds of the abbey cemetery. News soon spread and the cemetery became a very popular burial site. On top of that, the Black Death plague at that time resulted in even more burials in the cemetery. Further down in history, a church was built on the cemetery grounds and a chapel beneath it. During the construction, all the bones from the graves had to be exhumed, and the chapel was then to be used as an ossuary. So what was so special and unique about all this? Well, in 1870, a woodcarver named František Rint turned all the bones in the ossuary into an unbelievable piece of art. The whole interior of the chapel is now decorated by bones - in fact, some of the furnishings are constructed by these bones (and skulls). 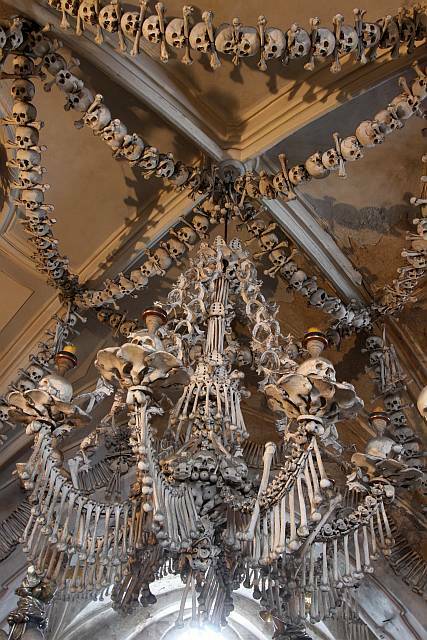 Notably, there is an enormous chandelier made entirely of bones, and it's supposed to contain at least one of every bone in the human body! All in all, an estimated 40,000 people's bones are now used inside the chapel. 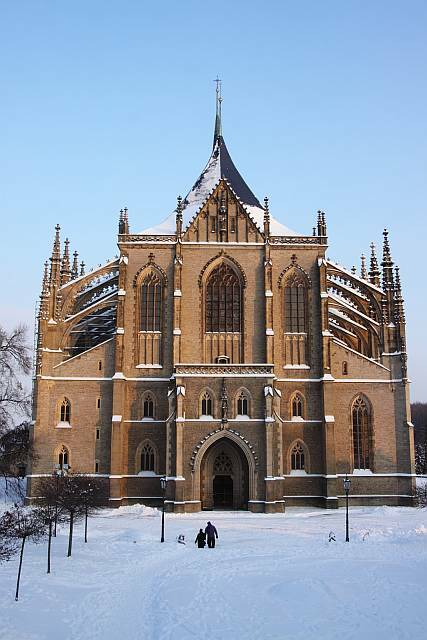 Kutná Hora itself is also worth a visit as its town centre is also a UNESCO World Heritage site. Most famous is the Church of St Barbara, with its impressive spires and beautiful interiors. It is easily reached via train or bus from Prague, and so, can be done just with a day trip. Do check it out when you visit the Czech Republic. Highly recommended!